Technics SL-P 1200 CD for sale. 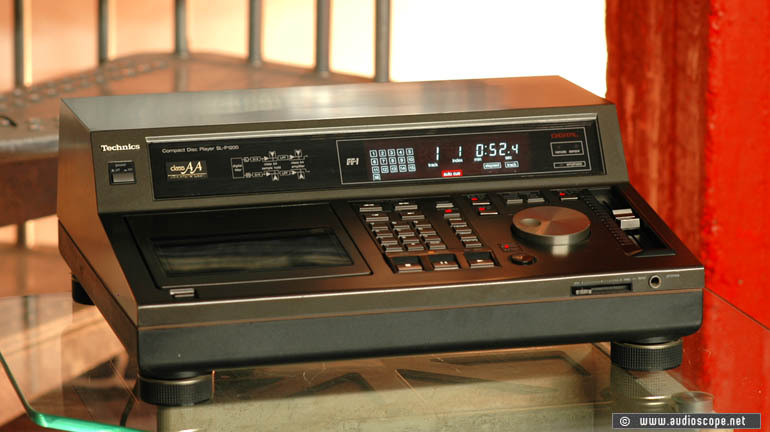 When in 1985 the Technics SL-P1200 hit the market, nobody really understood what this extremly expensive unit should be good for. A closer look to the concept explained the exeptional design and price. First of all, this player was not designed for the consumer market. It´s name - SL-P 1200 - is obviously chosen to address to the professional Studio, Disco and DJ Scene. 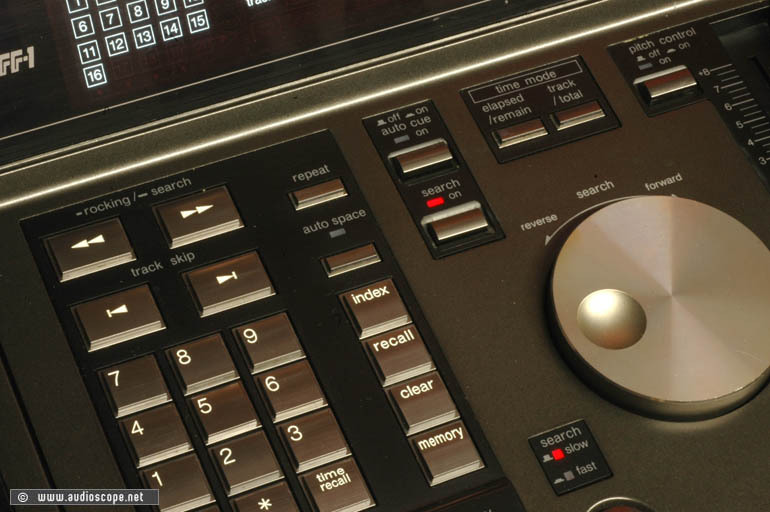 The interface design reminds to the legendary SL 1200 turntable aswell. 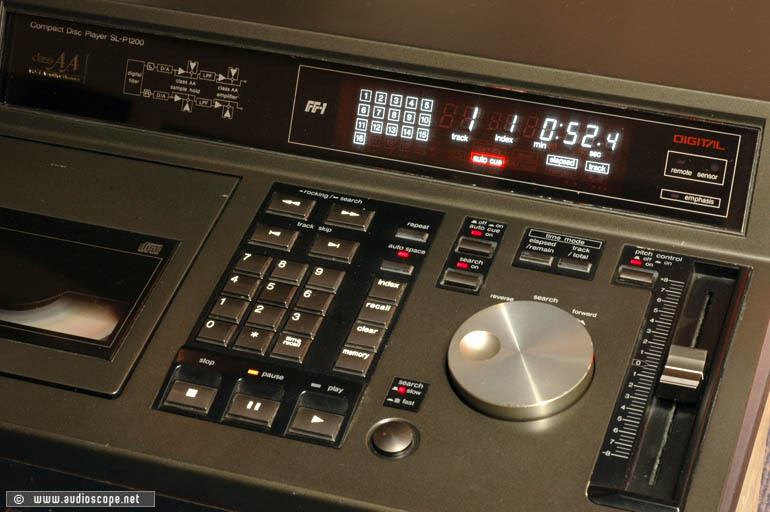 For professional use, this unit features different useful tools, for example very quick access to the tracks, a huge display with a 10th of a second, Jog/Shuttle mode, Pitch Control and many different programming and editing features. Today, 20 years later it is still a very nice and extraordinary CD-Player with a technical standard, that many recent models can only dream of. The sound is very typical for the eighties, deep, clear and detailed. Simply "rich". This player can be remote controlled with any Technics CD remote of the early 80ies. The remote is not included. The optical condition is very good. There are a few scratches on the "relatively sensitive" surface of this player, but nothing serious. It has been cleaned and looks great. Technically, it works like it should and plays CDR´s without problems.